We all have that one piece of furniture that is still useful, but looks tired and dated. Or you find a functional piece (like a bookcase or cabinet) but before giving it a place of honor in your home, it needs to be revitalized. Fortunately, it doesn’t take magic to give new life to old furniture. All you need is fabric, foam core board and VELCRO® Brand fasteners. This little shelf is a perfect example. It’s solid and sturdy with an oak laminate finish that’s in good condition. You can paint laminate, but a new paint finish tends to bubble up or adhere properly and scratches very easily when dried. Although it can be done, you have to weigh the number of hours and steps painting takes to the value of the furniture. 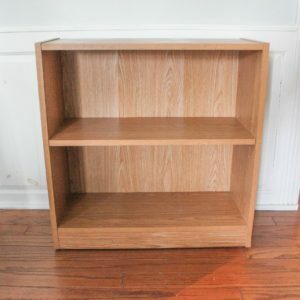 This piece isn’t valuable enough for all that work, and I wanted a nonpermanent DIY project that could be completed quickly. 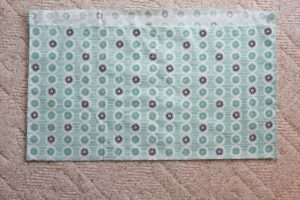 Instead of paint, I found fabric in a retro pattern in shades of turquoise, navy, white and gold. I measured the inside back (top and bottom) of the case and cut the foam core board to fit. 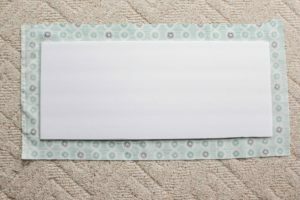 Then I cut a piece of fabric three inches larger than the board. 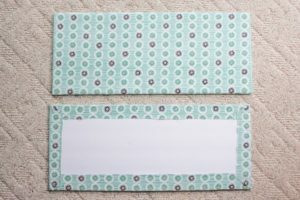 I used a glue stick to adhere the fabric to the back of the board, mitering the corners. I ironed the fabric first so all of the wrinkles and creases are gone. I used VELCRO® Brand sticky back squares to attach the fabric covered foam core to the back of the case. 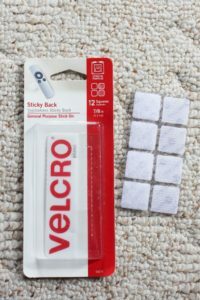 What I love about using VELCRO® Brand fasteners is that I can remove the panels to change the fabric and look of the bookcase any time I want to redecorate. 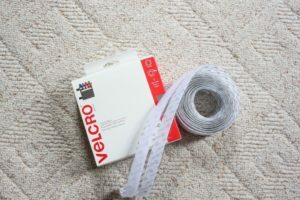 I attached the “curtain” to the bottom shelf with VELCRO® Brand sticky back tape. The result? I have the best of both worlds—shelves to display and store decorative items and a place to hide the necessary but not so pretty things. When I’m tired of this color scheme, all I have to do is buy new fabric and start all over again. Next time I might choose fabric for particular rooms in the home: nursery, play room, office and even the bathroom. The options are limitless! 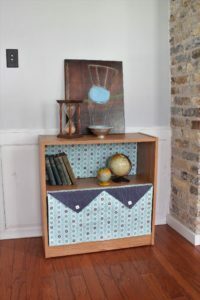 Interior Designer and DIYer Merri Cvetan writes for The Home Depot and Goodwill SEW about her passion for home décor, DIY projects, entertaining, antiques, traveling and anything French. 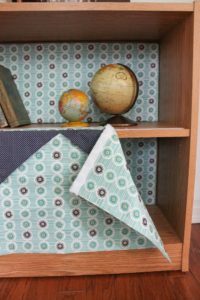 She provides step by step instructionals on projects that she can upcycle using materials such as paint, fabric and VELCRO® Brand Fasteners.